Dental implants are one of the most important advances in dental treatment over the last several decades. They can vastly improve the quality of life for many people who suffer from the problems associated with missing teeth. Dr. Work now places implants using a process called guided implant surgery. This new technology is cutting edge and allows Dr. Work to place the implant with exact precision. 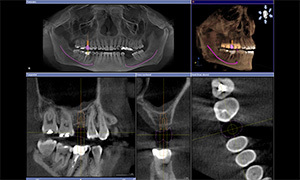 Implant cases are selected using the Galileos 3D Imagining System integrated with Cerec and implant planning software. 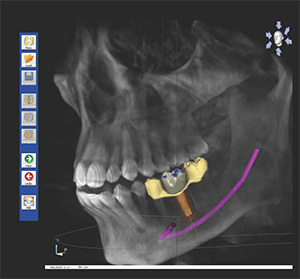 Dental implants are placed using a guided technique, making this the most precise and efficient placement in the world. Implants are natural-looking, can provide support for dentures, if necessary, and do not affect the teeth on either side of them. Moreover, dental implants protect you from the loss of jaw bone, which occurs when you lose teeth. Call or email us today if you would like more information about the implant process.